In Ancient Egypt the iconography on the walls of the tombs were crucial for the dead’s resurrection. 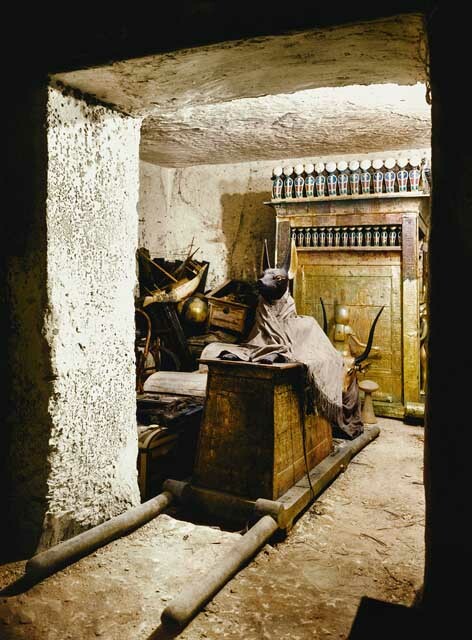 The iconography in the tomb of Tutankhamun was strong enough for granting the king’s regeneration. Both, the scenes and its emplacement had a sense. Orientation of the Tutankhamun iconography. The ancient Egyptian artists selected for this king a group of images which evoked the first moment of Tutankhamun’s regeneration. So, his entrance into the Hereafter granted his resurrection, and therefore, his eternity. But also the artists selected the emplacement for each image. The orientation of the Iconography in the Tomb of Tutankhamun.. If we observe carefully the decorative ensemble we note two main parts: the east side and the west side.